Daily fasting is an effective tool to reduce weight and lower blood pressure, according to a new study published by University of Illinois at Chicago researchers in the journal Nutrition and Healthy Aging. 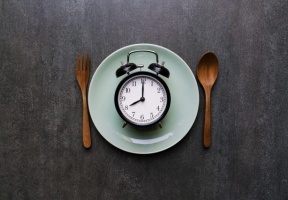 The study is the first to examine the effect of time-restricted eating — a form of fasting that limits food consumption to select hours each day — on weight loss in obese individuals. To study the effect of this type of diet, researchers worked with 23 obese volunteers who had an average age of 45 and average body mass index, or BMI, of 35. Between the hours of 10 a.m. and 6 p.m. the dieters could eat any type and quantity of food they desired, but for the remaining 16 hours they could only drink water or calorie-free beverages. The study followed the participants for 12 weeks. The Centers for Disease Control and Prevention estimates that more than one-third of adults in the U.S. have obesity, which greatly increases the risk of metabolic diseases such as coronary heart disease and Type 2 diabetes, and that obesity is most prevalent among non-Hispanic black individuals and middle-age adults.